Exceeding Expectations. Setting the Standard. 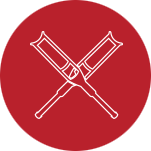 Whether serving our patients, our partners, or our own employees, Verus Healthcare strives to exceed expectations and set the new standard for healthcare. 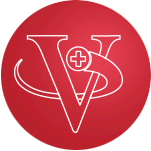 Verus has partnered with more than 150 companies nationwide to provide strategic solutions for businesses in the changing healthcare market. Verus specializes in CPAP and provides the best patient care and the equipment you prefer. Verus has completed business acquisitions with DME’s across the country. Verus partners with DMEs through subcontracting and other strategic solutions. Call us for any reason at 800-487-5566 or send an email to customersupport@verushealthcare.com. You can also use the contact form here on our website here. Our main location is just outside of Nashville, TN. We also have satellite locations throughout the country which you can find here. Monday–Thursday 7 a.m. until 6 p.m. (Central Standard Time) and Friday 7 a.m. until 5 p.m. Call 800-487-5566 or email customersupport@verushealthcare.com. 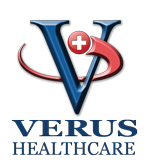 How often can I expect calls from Verus Healthcare? Usually every three months for order reminders, but it depends on your insurance’s eligibility guidelines. Once you place an order, we may need to reach you if we are missing information needed to ship your order. Why am I asked to give my email address? Verus uses your email address to provide updates on your order status and to send reminders when you are eligible to place another order. We offer a 30-day Comfort Guarantee on any of our masks so that you can try out your ordered items to make sure that they are exactly what you need. We will also accept returns on any other unopened items you are unsatisfied with within 30 days of the ship date. Call us at 800-487-5566 to discuss getting a return label sent to you. Once I place an order, when can I expect it? 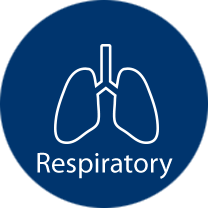 Most orders will ship the same day you talk to us, but all CPAP orders are dependent on receipt of necessary documentation like prescriptions and the verification of your insurance. You can receive order updates and tracking numbers instantly by providing an email address when you place your order. Do you ship CPAP supplies outside the U.S.?